All people who park on RIT’s campus must have a valid parking permit or authorization from RIT Parking & Transportation Services. This site contains information about the parking rates and how they apply to you. For a complete explanation of parking rules, visit the Where May I Park page. 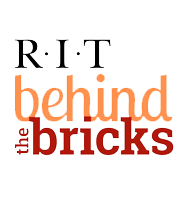 If you have any questions, please feel free to submit a question by contacting RIT Parking and Transportation Services (parking@rit.edu or 585-475–2074). We will respond to your question as quickly as possible and will continue to add FAQs to this list as more details are confirmed. All people who park on RIT’s campus must have a valid parking permit or authorization from RIT Parking & Transportation Services. The following table displays the fees associated with each classification of parker at RIT. Fall Semester, Intersession, Spring Semester, Summer Term. * NOTE: U-Lot will be modified a few days throughout the year with a small portion of the lot blocked off for events. Note that infrequent visitors may stop at the Welcome Center and receive a day pass. The Parking Office can also email a visitor pass in advance when applicable. Infrequent is defined as two or less visits to campus per month.